I can hardly catch my breath between doing my weekly bump updates; they seem to come around so quickly! I have just about caught up with myself now too, so as I am 20 weeks tomorrow (already?! ), there'll be another update in a couple of days. It's been a steady week really, although I haven't been feeling all that great. I have a bad back at the best of times due to lordosis in the bottom of my spine. My muscles are quite weak and I don't think they recovered very well after having Little One as I did no strengthening exercises whatsoever. I have had round ligament pain a lot this week too, when I sit or stand for long periods of time. I am considering whether pregnancy yoga or physiotherapy might help a little with these aches, so I may investigate that. Time just seems to be whizzing by, and I can't believe I'm nearly at the half way mark (unless I go overdue again). My belly looks and feels quite big to me now, but some people still haven't noticed as I wear quite loose fitting tops most of the time. Maternity clothes? Yes, I have dug out a few long sleeved tops from when I was expecting LO but haven't bought anything new yet. Miss anything? Sleeping on my back! 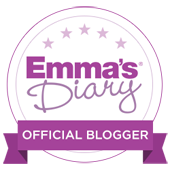 Food cravings: Sweeter things this week- I really wanted pick 'n mix the other night and I have stocked up on my favourite biscuits. Does this dispel the notion that you either crave sweet or salty?! Gender: We find out tomorrow! 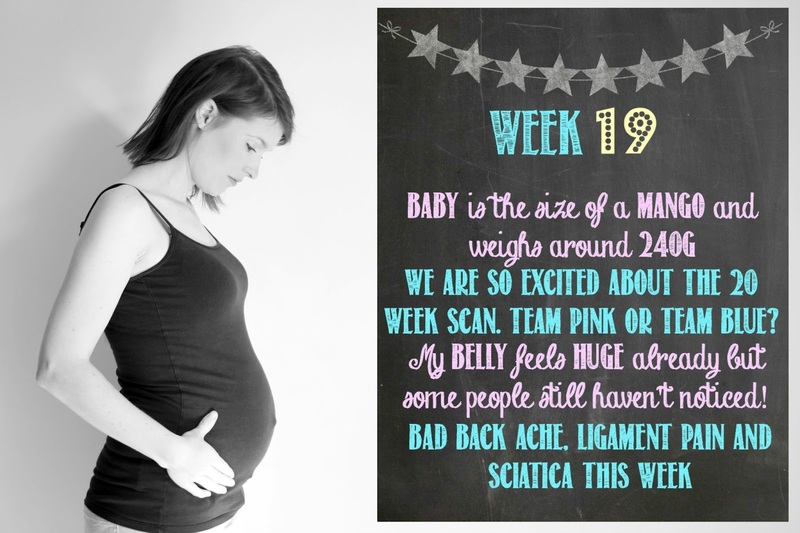 Looking forward to: Our 20 week scan!